Blending Old World charm with modern amenities, Pueblo Bonito Mazatlán features two large swimming pools with swim-up bars, a hot tub, well-equipped Fitness Center and wide array of daily activities for all ages, including bingo, bartending and cooking classes, aqua-aerobics, botanical and nature preserve tours and Spanish classes, as well as a variety of fun and creative activities for children. 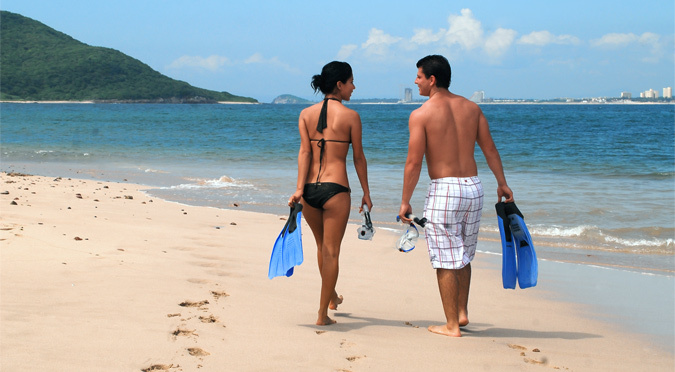 Mazatlán is bursting with tourist attractions, activities and interesting things to do. From outdoor recreation to historic cultural attractions, nightlife, shopping and festivals, you'll find plenty of things to do in Mazatlán, all located minutes from resort. Located in the heart of Old Mazatlán, the delightful Plaza Machado is not only an interesting tourist attraction, but home to beautiful architecture, delicious restaurants and bars, the historic Angela Peralta Theater and festive annual events. Stone Island in Mazatlán, also known as Isla de la Piedra, is a must for any new visitor to the area. It's one of the most popular day excursions for snorkeling, swimming and relaxing on the beach under a thatched palapa. A variety of all-inclusive tour packages are available or you can plan their own excursion via a water taxi from a local marina. Get acquainted with all that Mazatlán has to offer on a Mazatlán City Tour. Knowledgeable tour guides offer insight into the history of Mazatlán with interesting narratives about famous landmarks and attractions that are important to the city. 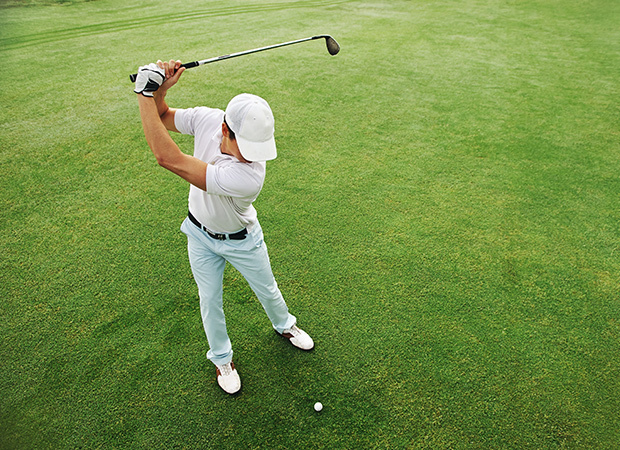 Play a round at one of the top-rated golf courses in Mexico when you vacation in Mazatlán. Estrella del Mar golf course, designed by Robert Trent Jones, Jr., was built in 1996 and offers 18 holes of play and a championship layout. The Estrella del Mar golf course is located within an exclusive, gated community on the beach near Pueblo Bonito Mazatlán resort. Sport Fishing - Mazatlán is a premier fishing destination heralded for big game catches such as marlin and sailfish. Closer in shore, snapper and bass have been known to fill a day's catch. With two marinas, Mazatlán offers a multitude of fishing charters and boat rental outfitters. 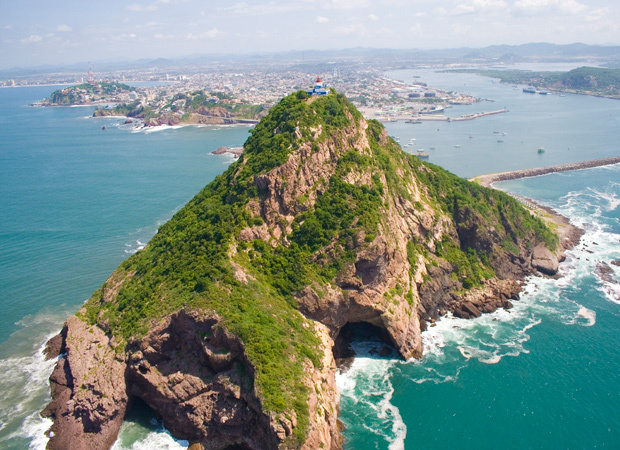 Located atop Creston's Peak, it’s one of the most famous tourist attractions in Mazatlán. The Lighthouse is the second tallest natural lighthouse in the world. 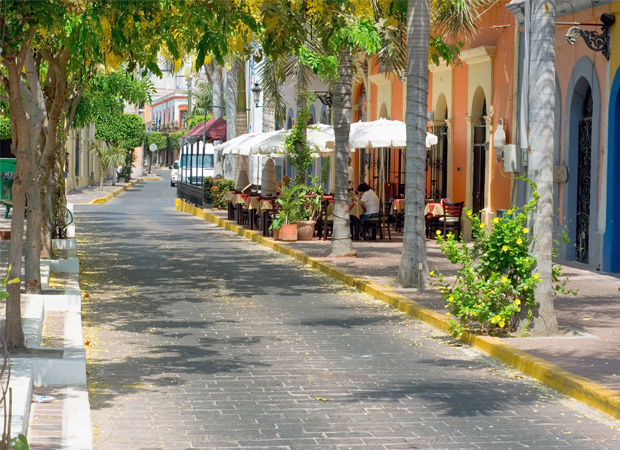 Stroll the narrow streets of Old Mazatlán to admire the historic architecture and charm of this 400-year-old city. Old Mazatlán is the city’s cultural center. Here you'll find Plaza Machado, the Museum of Archeology, Angela Peralta Theater, and dozens of restaurants and sidewalk cafes. The Mazatlán Aquarium offers hours of interesting things to do and see for families. Said to be the largest aquarium in Mexico, it also features a tropical botanical park and live entertainment starring some of the aquarium's resident seals. This premier shopping mall features three major department stores and over 100 shops and restaurants as well as a cinema and a nightclub. An interesting Mazatlán attraction located in the Zona Dorada area. View hundreds of beautiful shells from around the world, as well as intricate artwork created out of seashells. Admission is free. Kayak, swim or snorkel along the pristine shoreline. The biggest coastal island of Mazatlán and a designated nature preserve, an estimated 90 species of birds make Deer Island their home, offering spectacular viewing for bird enthusiasts. Hiking, swimming and relaxing on the beach can also be enjoyed here.